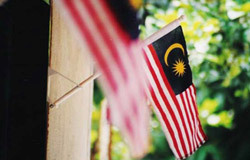 Tian Ng and Chee Huei Lee will present “The Hidden Sides of the ‘Truly Asia’ Malaysia,” a critical perspective on the policies and practices of the current Malaysian government with respect to political opposition. Tian Ng and Chee Huei Lee are both from Malaysia. Tian graduated from Michigan Tech in 2006 with a Ph.D. in Mechanical Engineering (he also has a B.S. in chemical engineering). He is now an engineer working in Wisconsin. Chee Huei is currently pursuing his Ph.D. in physics at Michigan Tech.